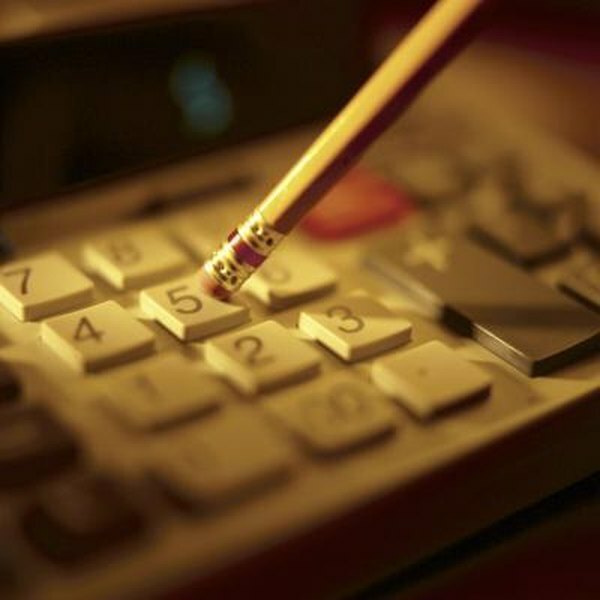 Estimate your state and local taxes to determine whether your deductions cover your tax. 3. Can I Deduct New Car Sales Tax If It's Financed? The Internal Revenue Service allows you to deduct the taxes you paid as an itemized deduction on your federal income taxes. In addition to real estate, property and foreign taxes, you can also claim state and local income taxes paid on your salary or general sales taxes made on purchases, but not both. Because of this, estimating your taxes before filing can help you recognize whether claiming the general sales tax or income tax will grant a larger deduction. The second section on Schedule A, which is labeled "Taxes You Paid," is the section you must use to deduct the taxes paid throughout the year. When deducting state and local taxes, you must indicate on the form whether you are claiming the income taxes paid on your salary or state and local general sales taxes on purchases. If you elect to deduct the taxes paid on your salary, include any estimated tax payments made to your state or local tax authority. If your state requires you to contribute to a disability, workers' compensation, unemployment or family leave fund, include these amounts in your estimation. If you elect to deduct the state and local general sales tax, you cannot deduct the tax on certain purchases, including gasoline, cigarettes and liquor. You also cannot deduct the taxes paid for licensing fees, such as a marriage license, driver's license, animal license or vehicle plates. Excise tax, inheritance tax and gift taxes are also excluded. Although estimating your state and local taxes is a reliable method to ensure you receive the largest deduction, when you file your actual tax return, you must have an exact figure for your state and local income taxes. If you opt to claim the taxes on your salary, you should use the information included on your W-2 or 1099. If you choose to claim state and local general sales tax, you must have your actual receipts to calculate the total. Locate your most recent pay stub or the receipts you have accumulated so far this year. Determine the percentage of the year remaining. For example, if the current month is September, the ninth month, divide 9 by 12 to determine you are 75 percent through the year, and 25 percent remains. Add up the taxes you already paid on your salary or general sales tax on purchases. Multiply the total taxes paid for the year by the percentage of the year remaining. For example, if you already paid $5,000 in taxes by September, multiply $5,000 by 25 percent to get $1,250. Add the estimated amount to the amount you already paid. If you paid $5,000 and estimated that you will pay an additional $1,250, your estimated state and local taxes are $6,250. Use this amount to estimate your itemized deductions. Can I Deduct My State Income Tax Withholding & the General Sales Taxes Paid? Can I Claim the Taxes on My New Car on My Tax Filing?